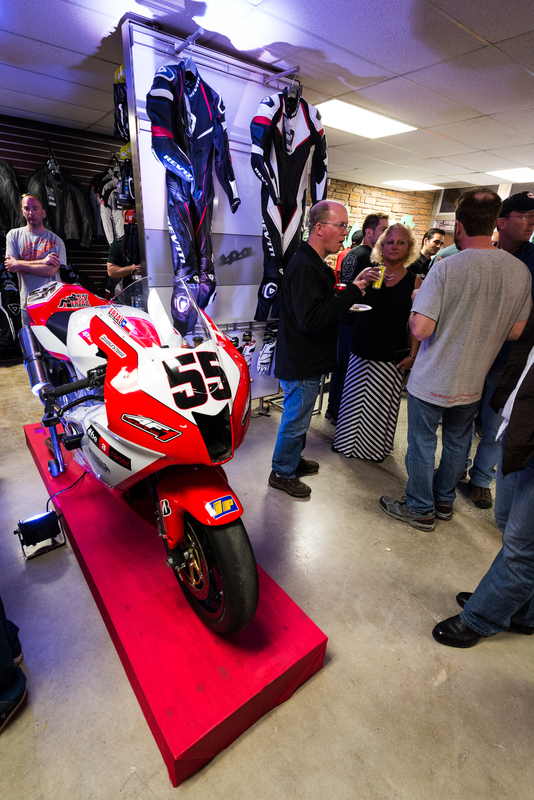 Join the 7th Annual MotoGP Party! Further event details will be added in the coming weeks, so keep your eye on these emails. This past weekend GRIIIP engineers Gil Zakay, Gilad Agam and Tom Schuster and drivers Yarin Stern and Miguel Matos flew into Austin Texas for the Sports Car Club of America’s (SCCA) Super Tour event hosted by The Circuit of Americas. Everyone expected a solid week of race prep and competitive racing. What was unexpected was the gamut of weather that Texas would provide! Two days before, race prep was underway! The sounds of machinery filled AF1 Racing’s service department, the large area acting as a surgical center for two partially disassembled race cars. Surrounding the cars were GRIIIP engineers and AF1 Racing’s owners. The work space is complex and chaotic but progress was made as the cars were corner balanced, aligned and camber set. On Thursday the cars were taken to Circuit of the Americas, where GRIIIP ran a 2:08.65 last time out. The air was a crisp 24 degrees Celsius as the cars warmed up. Drivers Stern and Matos climbed aboard and began to make a few laps before adjustments were made. As the day continued the temperature dropped, requiring adjustments to the aero and ride height in an effort to provide more downforce for the cold tires. The cold would not relinquish its hold on the track for the next few days as temperatures settled in at 2 degrees Celsius. The drivers fought not only to stay warm themselves, but to keep heat in the tires. The freezing weather didn’t dampen Friday’s performance as Stern was able to click off a 2:09.2 and Matos was not far behind with a 2:12.2. They earned the P1 and P2 in their group and P5 and P9 on the starting grid. Saturday’s temperatures hovered around freezing, but with the added joy of rain. Since the forecast for the actual race was also rain, the drivers decided to use this as a practice time. Hoosier wet tires were added and Matos managed a time of 2:22.8. Stern managed a 2:24.4 through the tricky terrain. The start of the race was also the start of more rainfall as drivers attempted to get any heat at all into their tires. Matos’ run was short lived as a Prototype 1 car lost its rear end on turn one of lap one and ricocheted off Matos’ front wheels. The crash caused a bend in front suspension that would later be finished off by uneven payment along the back straightaway. Stern stayed in the fight and managed to go from 5th place on grid to 1st on podium winning not only his class but the overall win beating out Formula Atlantic and Prototype 1 drivers alike! “The race itself was amazing,” Stern said. “I really love the circuit. 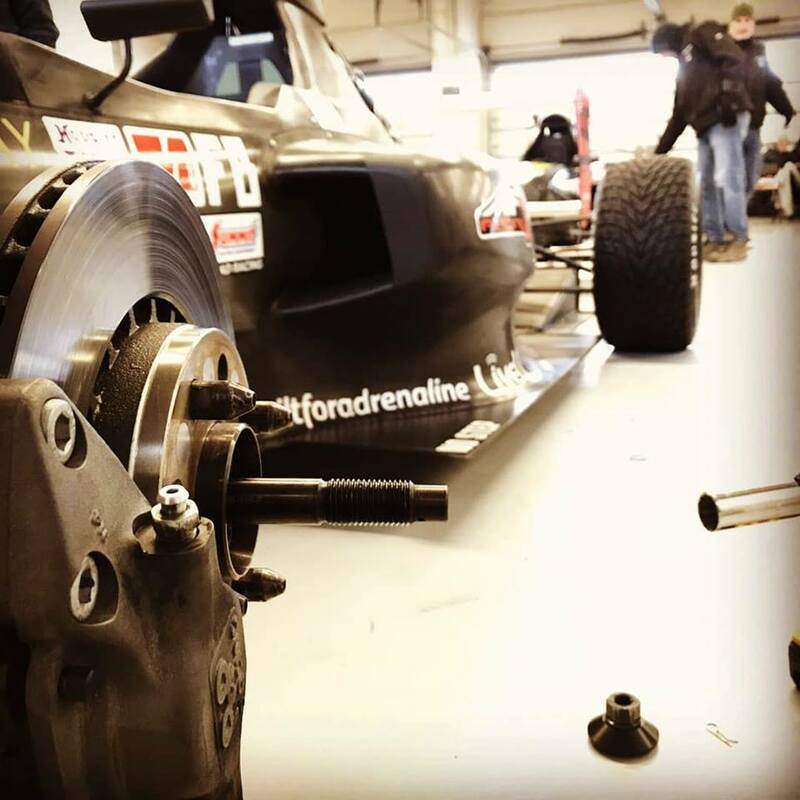 I started fifth and had a very nice fight with the Formula Atlantic car [Flinn Lazier] overtook him and managed the tires from there.” Once again GRIIIP has proven their ability to produce a world class racecar! We have added in the past few months Norton Motorcycles and Ural Motorcycles/Sidecars in order to continue bringing to Austin, Texas the most interesting motorcycles on the planet! In case you had not heard by now Norton is back, and back with a vengeance whether you just want to ride the most bitchin' Modern Classic on the market or if your putting down a deposit on quite simply the most awesome V4 powered sporting motorcycle ever built for delivery this fall! Getting Norton back into Austin has been a long time dream of mine, to me at least Norton represents some of the very best things about riding, design and styling to ever roll on two wheels! Adding Ural Motorcycles which all come with sidecar attached has been a very fun process, riding sidecar bikes is unlike any other experience in motorcycling. Ural is made in Russia and built to be one of the toughest options out there for true all weather, all roads or total lack of roads riders, they are basically the UNIMOG of motorcycles! They do indeed ride VERY differently from conventional two wheeled bikes and are not high speed machines with 65-70mph being about as fast as you will want to go. If your dog, child or significant other always gives you "that look" when you pull out of the garage, Ural might just be the thing that changes perspectives around your house. New 2017 Zero Motorcycles demo bikes have arrived, one with the stupendously powerful 117 ft/lbs of torque motor and the other with the lighter 6.5 kilowatt hour battery and smaller 78 ft/lbs motor. As of this year you can add a standard EV charger port for REALLY FAST recharge times at any free EV charging station supporting Nissan Leaf of Chevy Volt/Bolt or other plug in EV's or hybrids...you simply have to ride one to see how far and how fast the EV revolution has come! April 15th is Tax Day, if you are getting a refund do you already have better plans? If you are like me and have to pay every year, well bikes sure help me de-stress and forget about how much of my savings I just wrote-off...see it works either way! new bikes bring the heat! Austin has experienced something of a bursting of the skies this summer. While the rains are keeping rides shorter and less frequent, the excitement here at AF1 Racing hasn't been dampened. New machines from Aprilia, Moto Guzzi, Piaggio, and Vespa are more than enough to keep us going. Here's a little run down of what's new. Aprilia may be one of the most talked about manufacturers this year and this summer. Aprilia's Corse department is working hard towards more WSBK success with the Red Devils Roma team, or seeking improvements in Moto GP with Aprilia Gresini Racing. But that's not why people are talking. 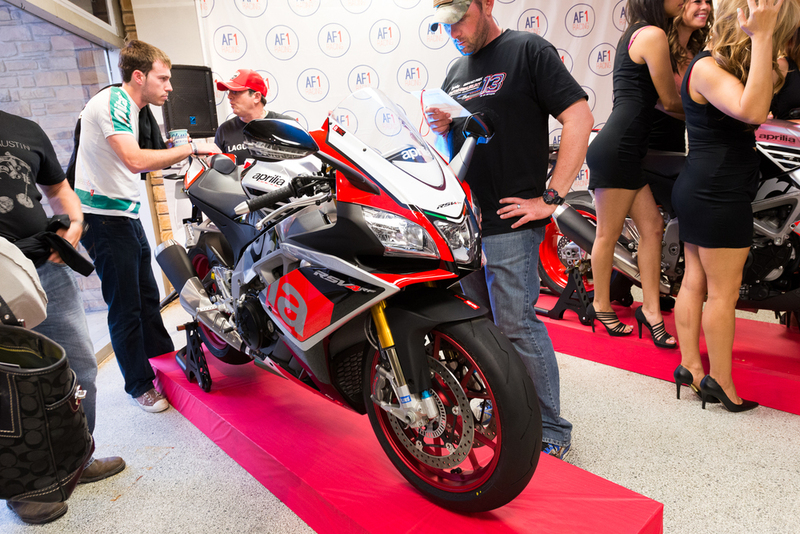 A New RSV4, a new Tuono, and another Caponord model – that's why people are talking. The RSV4 RF and RR are evolved packages of the venerable RSV4 putting into place much of the engineering learned from racing. Peak horsepower of 201, a tweaked chassis, improved aerodynamics, and blurred lines between Factory and base models. The RSV4 will continue it's history of being the superbike to own. Where the RSV4 RF and RR have been further tuned for the track, the Tuono has been improved in only ways a machine not bound by homologation can – with displacement. 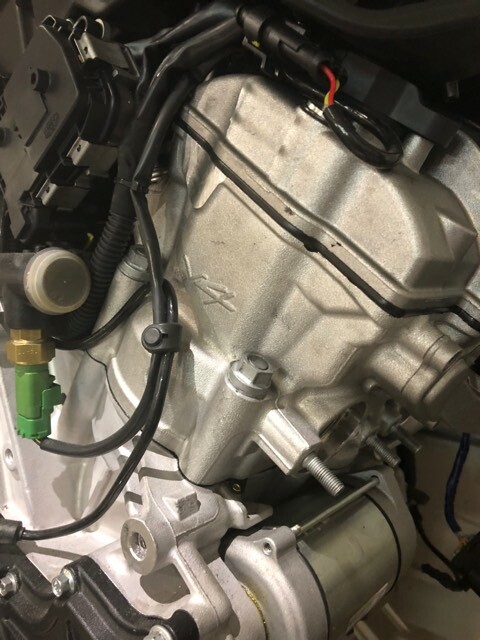 An increased bore has brought the heart of the beast up to nearly 1100cc and with it a monstrous increase in midrange power. Peak horsepower is up to 175, but with nearly 20 more horsepower in the midrange, expect brutally linear acceleration. The Tuono returns with a Factory package featuring Öhlins suspension, steering damper, special livery, and an RSV4 tail. The gnarliest naked superbike just got gnarlier. Where the new V4 bikes are potent, the Caponord 1200 Rally is adventurous. A whole host of changes have been made to the technical Caponord 1200 to create a true on and off road adventure tourer. Spoked wheels in new dimensions allow tires better suited for riding where the roads aren't. Aprilia has tweaked the aDD suspension for added off-road performance with new geometry – giving comfort and performance without compromise. The scout's motto of "be prepared" would also apply to the Caponord 1200 Rally with it's heavy duty side cases, added skid plate, engine guards, and additional LED for lights. Planning a summer adventure? This is the bike for you. Moto Guzzi has again brought ultimate coolness with it's new Eldorado and V7 II. The Eldorado has a historic name with a modern ride based off the California 1400. Classic details and lines are enough to throw it back while keeping modern proportions. In addition to the new looks, a softer ride and more comfortable ergonomics are bound to leave a yearning desire to blaze down dusty roads. Believe us when we say you've got to see this bike in person! The V7 has received an upgrade in the V7 II. Transparent technology in ABS and traction control now provide additional safety, but that's not why you're reading this. 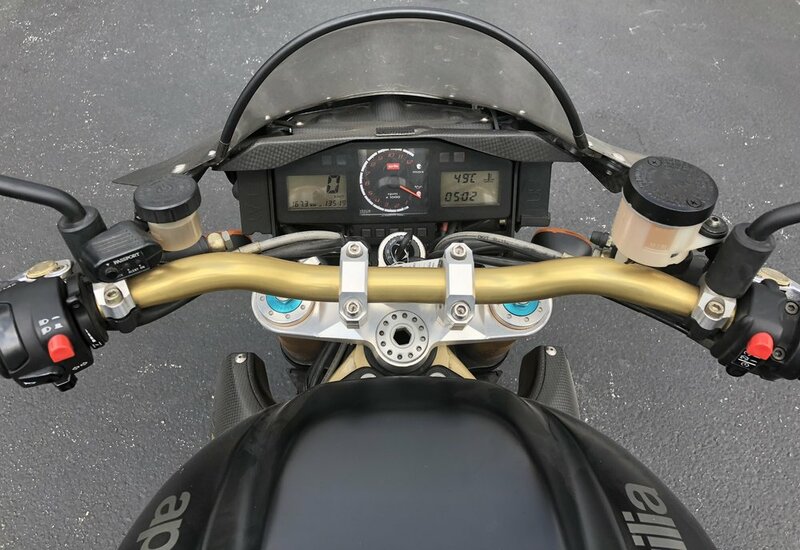 The V7 II adds an all new 6 speed gearbox for fine shifting and closer gearing, improving the "everything a motorcycle should be" character of the V7. An adjusted engine angle gives the bike a better profile while improving legroom for taller riders. If you haven't ridden a V7 yet, now is truly a time to experience one. Piaggio and Vespa didn't rest over the winter either. 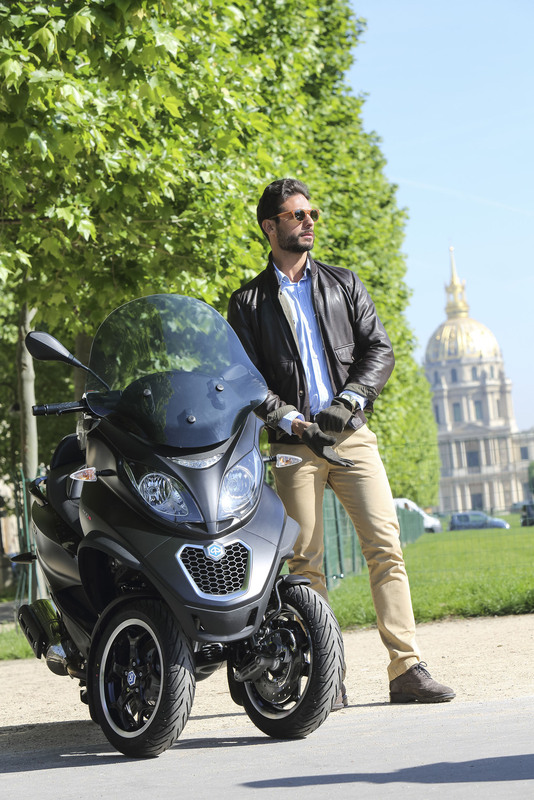 Piaggio has brought Europe's most popular scooter back to the US. The MP3 500 returns to much fanfare and with many improvements. Too many to really list at that. Make sure to read the MP3 500 page to have a real understanding as to why this bike is the ultimate urban transport. Where there's smoke, there's fire and a BBQ right? Vespa's new Sprint sport in smoky matte titanium grey has plenty of fire to burn up downtown. A unique color combination with subtle striping and black wheels will look good parked (for free) anywhere in Austin. The Sprint Sport is the ultimate in cool small-frame scooter. It's easy to see why we're all excited this summer. While the rain may be interfering, it's just time to plan that next ride – you'll enjoy it that much more. 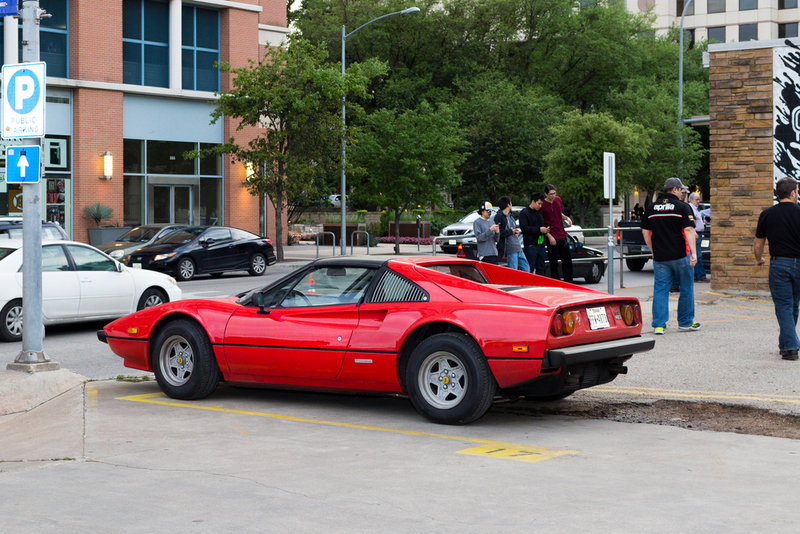 Make sure to visit us to see all the newest and hottest Italian bikes sure to be cruising Austin this summer. We're hosting a special event for Moto Guzzi lovers tomorrow evening from 6-9 PM! Come visit our Austin showroom and get a sneak peak at the 2016 Moto Guzzi Audace and Eldorado. Also on hand for a special viewing is the very special Moto Guzzi MGX-21 concept motorcycle unveiled at EICMA! Make sure to be here and experience what's next in Moto Guzzi's long heritage of fantastic and unique Italian machines. Food and drink will be on hand along with special Moto Guzzi apparel, and a cool V7 Special showing off some of the new Moto Guzzi accessory line. We look forward to seeing all of you tomorrow evening! 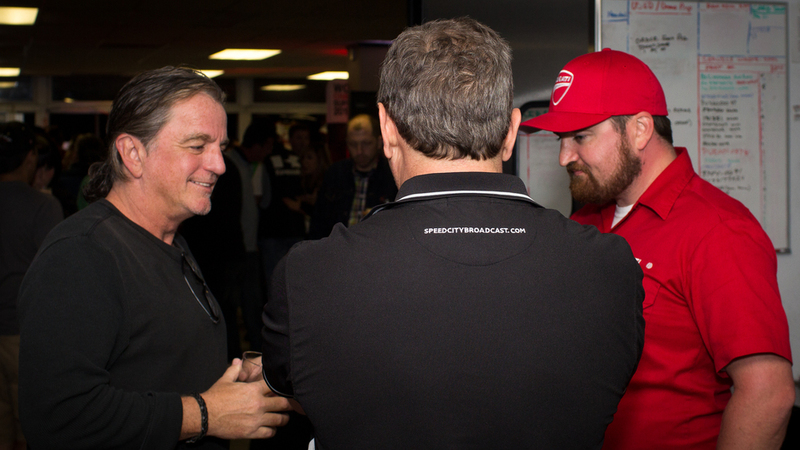 The 3rd annual Austin Moto GP round was another to remember! Fun filled events, unpredictable Texas weather, and a great weekend full of exciting racing proved Moto GP is at home in the heart of Texas. We spent the week leading up to the Red Bull Grand Prix of the Americas with one eye on the weather. Rain was a constant threat to the weekend's festivities more than 10 days out, but if there's one thing that's unpredictable in Texas, it's the weather. The rain came and went early Friday, making life interesting for the riders and one poor (later lucky) dog, and proved to be a relatively minor threat for the rest of the weekend. At least if you aren't in the Motoamerica pits. The worry over the weather was unnecessary and only added to our grey hair growth. Friday evening cooled off, and our event went off without a hitch! 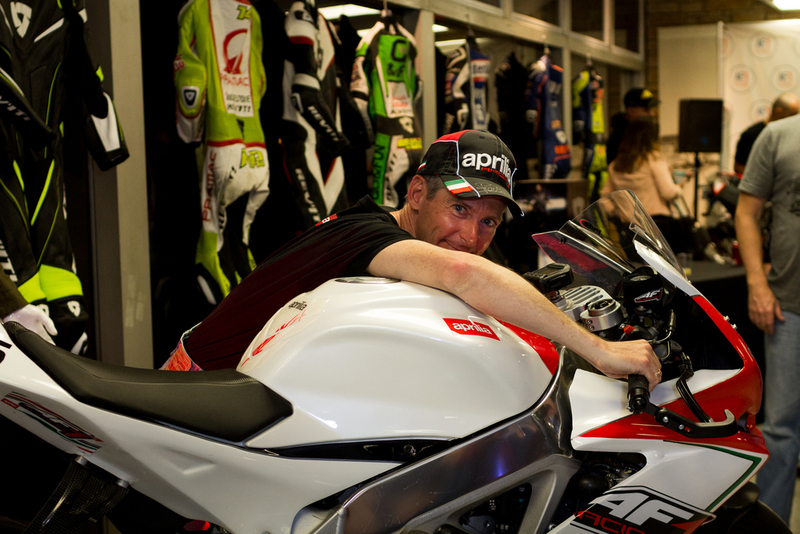 With a queue at the front door, we opened up and let a flood of guests in to begin checking out the new Aprilia RSV4 RF, Tuono V4 1100 Factory, a nice collection of track machines from Aprilia's past, an awesome collection of Moto GP & WSBK race leathers, and apparel from REV'IT!. DJ Dan Gentile of Flying Turns provided the tunes and the drinks from Deep Eddy Vodka began to flow and wouldn't stop until an hour after we were supposed to shut down! Throughout our event there was much to talk about. One thing that stood out was our announcement regarding our future move to a new location a short distance North of downtown Austin. We'll be providing more details on that in the future. Alvaro Bautista was in attendance showing gratitude to all of the Aprilia fans with photos and signings. 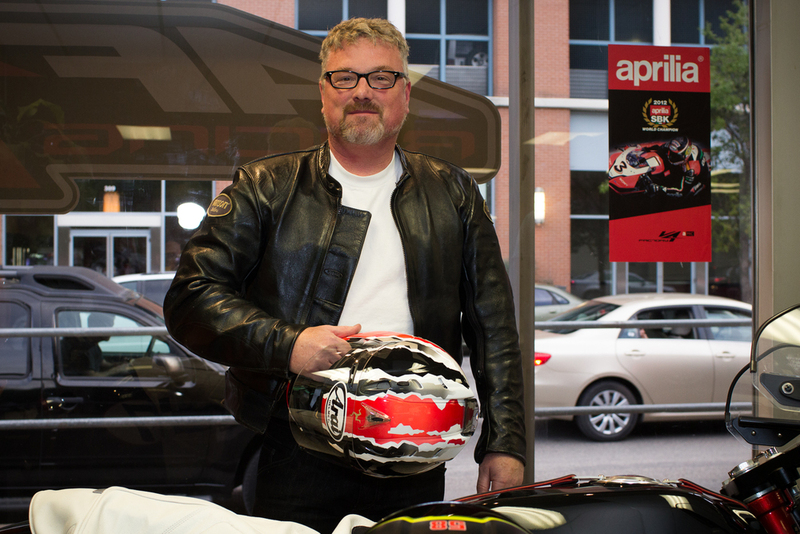 It was very cool to have such a talented and friendly rider at our Austin shop! 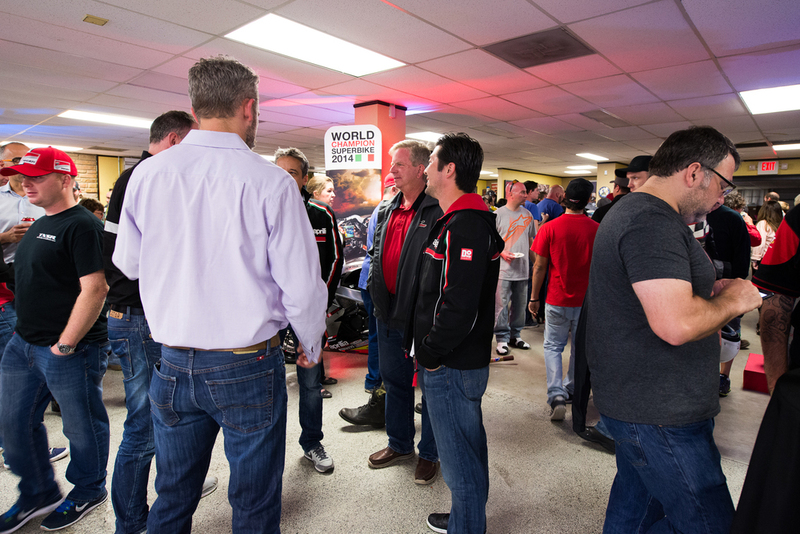 We hope you enjoyed our event as much as we did and we cannot say thank you enough to our collaborators at Aprilia USA and REV'IT! USA! 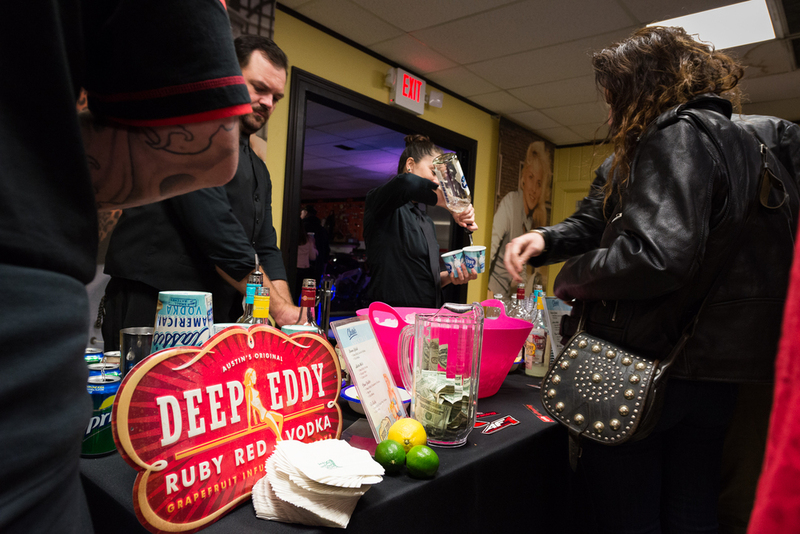 We also have a huge thanks to Austin's very own Deep Eddy Vodka for providing great spirits for the third year in a row. And lastly, the biggest thank you is for all of our customers and friends of AF1 Racing – without you, we wouldn't be here! We hope you enjoy the photos and got a keepsake from the evening. See you next year! With special financing options from the best Italian brands, you'll be able to kick your Summer off with a new bike under you.